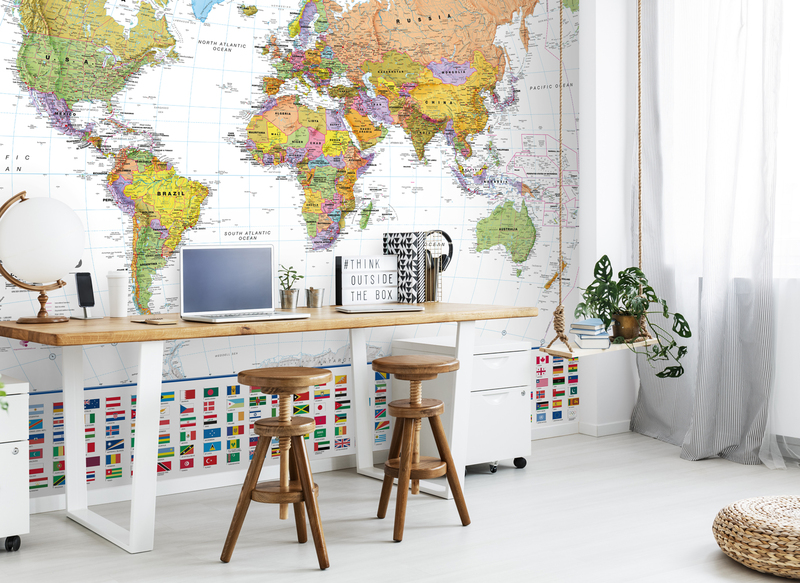 Two years ago I turned our spare room into my office and decided to add a map of the world to one of the blank walls. I wrote a post about this and about how we are adding stickers to it every time we travel and how we could use it for cheap and interesting geography lessons. After writing the post I had a lot of messages from fellow parents who told me that they went out and bought a similar map and have done the same thing, which is just awesome, I love hearing how any of my articles have motivated you to do something or even avoid something or somewhere based on a post. The map that I put up two years ago is still going strong although it is starting to look a little dog eared round the edges and hasn’t had as many new stickers added as I would like but travelling isn’t cheap when it has to be done around school holidays is it? The rest of my office however is looking a little tired now and despite absolutely loving all the pink I am thinking of freshening it up and maybe, just maybe, toning down some of the pink walls. 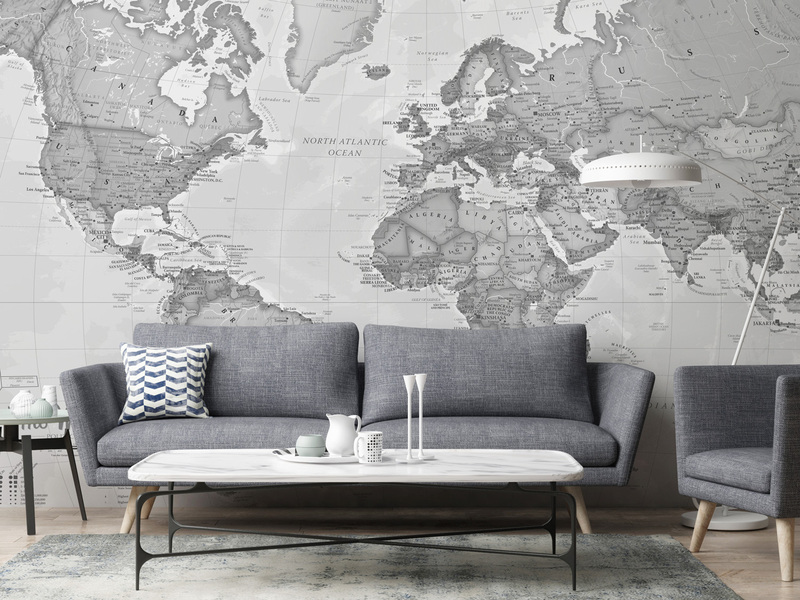 As I have been trawling through the black hole of endless procrastination fodder which is the internet I came across Wallsauce and their fabulous wall map murals. They have so many to choose form and even have a create you own section which could be fabulous or terrifying in the wrong hands – imagine going to someones house and they have a wall decorated with their own face, or worse yet, your face! I think one of these would make a real statement piece and would be pretty impressive as a back drop for all my skype meetings too. Much more professional looking than my pretty pink parlor I currently have that must give some of my clients serious headaches and potential cause for concern for my sanity, although I do need to be clear I’m not loosing ALL the pink, just some of it, maybe. If you could pick anything what mural would you create for your home from wallsauce? They would look ace in a play room wouldn’t they. Kids would learn without even realising it. Ooooo I love that massive map! It would help me to remember that the world is a big place when I was a bit consumed with my corner of the earth and it looks so cool!! That’s a good point, might also inspire some more travel too. They really are so cool aren’t they. 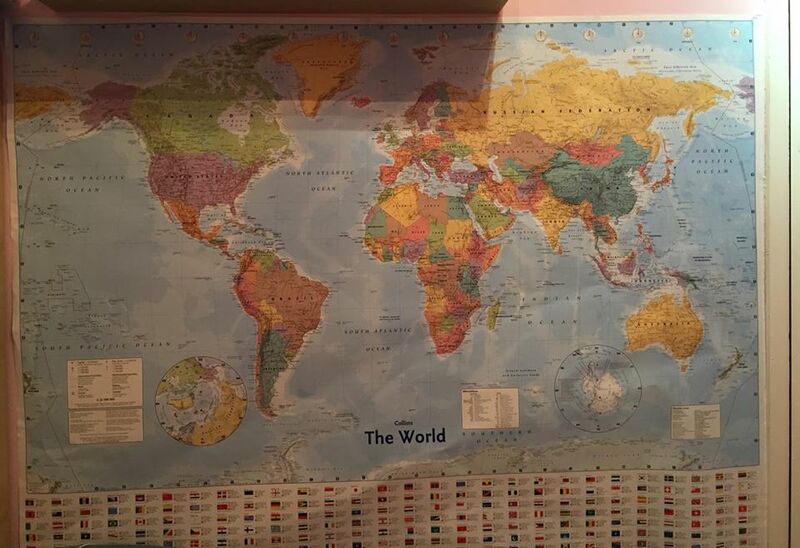 Wow, a whole wall of world map is a great idea! Might just motivate me to go ahead and book that next overseas trip too! I love it.